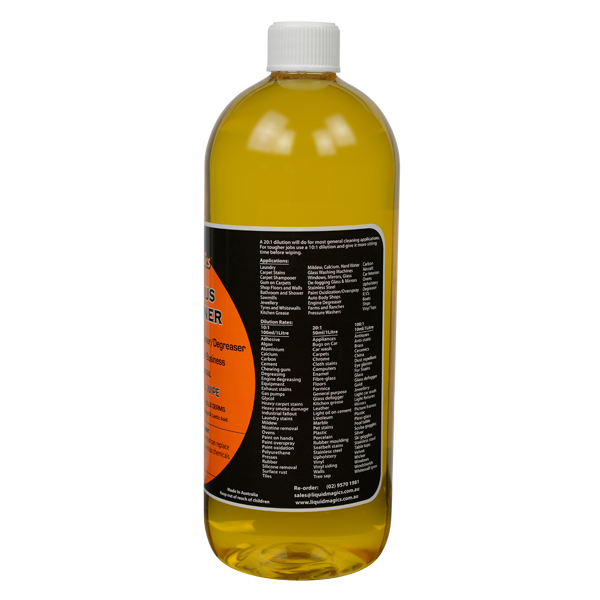 The Ultimate Spray & Wipe now contains Lactic Acid a good descaler, soap-scum remover, and a registered anti-bacterial agent. 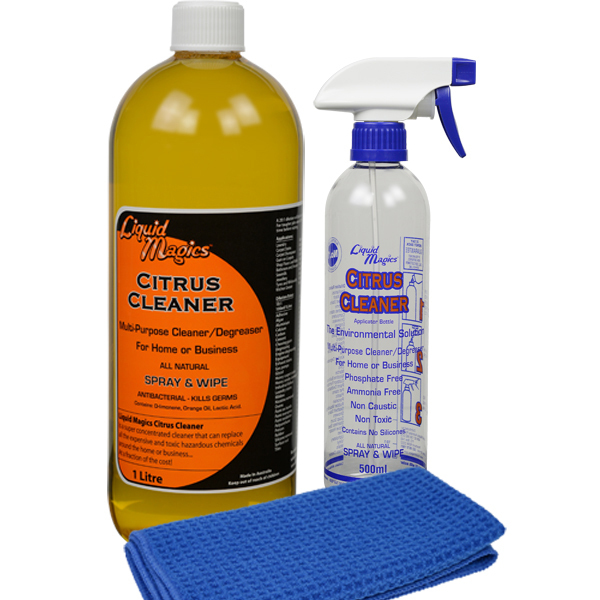 Just by adding water to Liquid Magics Citrus Cleaner - a concentrate made from natural citrus oils, orange oils -you can custom-blend your own cleaning products. 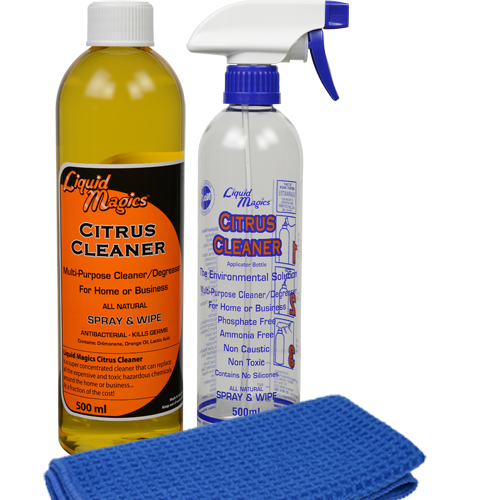 You will be amazed at how this "Environmentally Freindly, Biodegradable, Non-Toxic & People Friendly" cleaning product matches and out performs most other products available today! 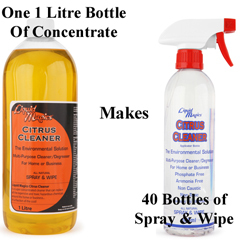 One 1 litre bottle of Liquid Magics Citrus Cleaner concentrate when Diluted 20:1 is equal to 20 litres of general Spray & Wipe household cleaner. So we ask the question, "Why pay for water?"